Steam reviews are changing again. This time, it’s a subtle thing that could have big reverberations. If you got a game for free—say, as a gift, during a free weekend, or what have you—your review no longer counts toward that game’s overall score. So basically, Valve thinks people who pay will be more “invested” in their games, and therefore more honest. There may or may not be some false equivalence going on there (paying for something doesn’t necessarily make somebody care about it, and investment does not necessarily lead to honesty; also, if you’re going for accuracy, removing certain kinds of users just creates a more skewed sample), but that’s the reasoning, anyway. A lot of Steam users are up in arms over this decision, given that not everybody can afford to directly purchase a ton of games, and they still want their reviews to count. I can understand the sentiment. The last thing we need is yet another ecosystem in which money is the sole arbiter of influence, small though said influence might be. If I had to guess, though, Valve did this in part to curtail sketchy promotions and gifts from developers that might lead to disingenuous or inflated scores. Are those things a big enough problem to justify leaving legit users high and dry? Valve seems to think so. What do you think? 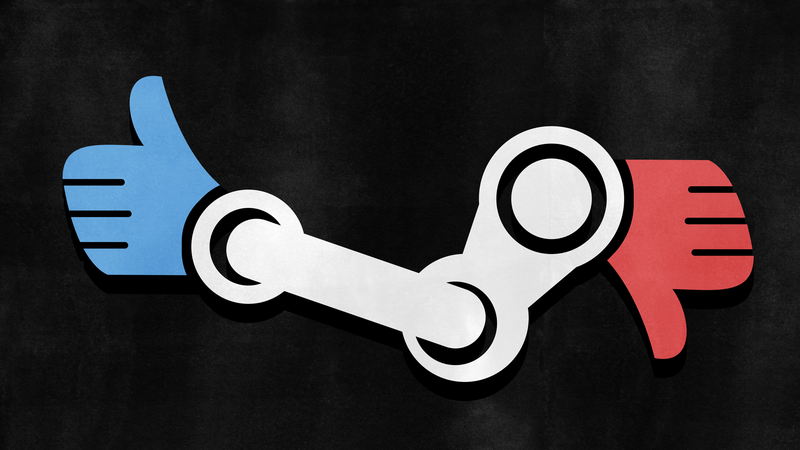 Do you receive a lot of Steam games for free? Does this change directly affect you?